Hastily recorded and released after the success of "461 Ocean Boulevard", which was his first album for four years, this one did not quite hit the spot in the way its predecessor had done. It is similarly laid-back in its sleepy tones, not many searing blues cuts to be found. There is gospel, folk, low-key reggae and the occasional blues, but overall it is a pretty understated album. 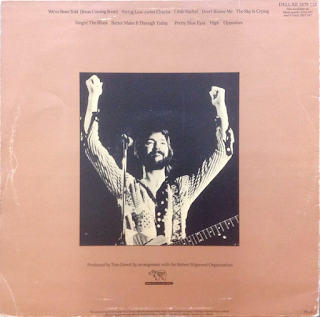 "We've Been Told (Jesus Is Coming Soon)" is a somnolent, relaxing gospel song, with Clapton's gentle vocal recalling quite a bit of the previous album. It has an infectious, shuffling beat to it though. "Swing Low Sweet Chariot" is also a spiritual, given an appealing reggae makeover. It was a hit single, and deservedly so as it is lively and enjoyable. "Little Rachel" has a bluesy backing to it and another decidedly drowsy vocal. When the drums kick in it develops a bit of a bluesy thump, it has to be said, however. "Don't Blame Me" was written as an "answer" song to Bob Marley's "I Shot The Sheriff", which Clapton covered on the previous album. It has a convincing slow skank and Clapton's Marley impersonation is actually not as embarrassing as one might expect it to be. Elmore James' "The Sky Is Crying" is the album's most authentic blues, with some copper-bottomed slide guitar. "Singin' The Blues" has that upbeat, "Mainline Florida"-style groove that Clapton would utilise a lot in the mid-late seventies, particularly on "Slowhand". Lots of backing vocals and funky-ish guitar. "Better Make It Through Today" is a slow-tempo, almost comatose number enhanced by some excellent mid-song guitar. "Pretty Blue Eyes" is an acoustic-driven country blues that ends up with a choral mid-song bit, somewhat incongruously. 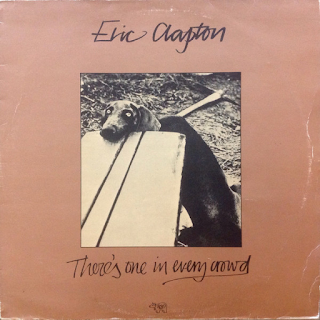 "High" is another shuffling typical mid-seventies Clapton track. Again, I have to say it does have some killer guitar near the end. "Opposites" ends this perfectly pleasant, but remarkable album with a perfectly pleasant, unremarkable track. Sound-wise, the best version is to be found on the "Give Me Strength: 74-75" box set recordings.